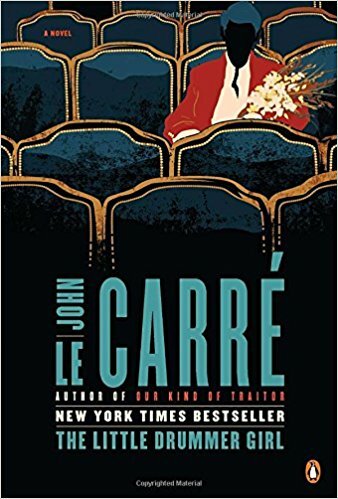 You are here: Home / Spybrary Blog / Hot off the Press John Le Carre’s Little Drummer Girl to be adapted for TV – Official! Hot off the Press John Le Carre’s Little Drummer Girl to be adapted for TV – Official! London, England [8 November 2017] – On the heels of the BAFTA®, Golden Globe® and Emmy® Award-winning series “The Night Manager,” starring Tom Hiddleston, Hugh Laurie and Olivia Colman, The Ink Factory, BBC ONE and AMC announced today that the next project the three companies will be adapting into a six-part mini-series will be John le Carré’s best-selling literary masterpiece “The Little Drummer Girl.” The series will be directed by acclaimed filmmaker Park Chan-wook (Old Boy, The Handmaiden, Stoker), marking his television debut. Florence Pugh (Lady Macbeth) will star. “The Little Drummer Girl” is set to go into production in January 2018. The series will be sold globally by Endeavor Content / IMG. The series will be financed and produced by The Ink Factory in partnership with 127 Wall and co-producers the BBC and AMC. Laura Hastings-Smith (“Howards End”, Macbeth and Hunger) will work as Producer with Simon and Stephen Cornwell serving as Executive Producers alongside John le Carré, Mona Qureshi for the BBC, Joe Tsai and Arthur Wang for 127 Wall, and Wonjo Jeong. Hastings-Smith leads a world-class production team including Production Designer Maria Djurkovic (The Imitation Game, The Hours), Director of Photography Woo-hyung Kim (The Taste of Money, The President’s Last Bang), Casting Director Jina Jay (Darkest Hour, Rogue One), Costume Designer Steven Noble (The Theory of Everything, A Monster Calls) and Supervising Editor Lucia Zucchetti (The Queen, Their Finest). “The Little Drummer Girl” has been commissioned by Charlotte Moore, Director of BBC Content, and Piers Wenger, Controller of BBC Drama, Kristin Jones, SVP International Programming for AMC and Sundance TV, and David Madden, President of Programming, AMC, Sundance TV and AMC Studios. Set in the late 1970s, “The Little Drummer Girl” weaves a dynamic and exciting story of espionage and international intrigue; of love and betrayal. In this high-stakes drama, set against the background of rising tensions in the Middle East, a young, brilliant actress Charlie (Pugh) prepares for her ultimate role in ‘the theatre of the real’. Park is a film director, screenwriter, producer and former film critic who has emerged as one of the most significant talents in cinema in recent years. He is best known for his films Joint Security Area, Thirst, The Handmaiden and what has become known as The Vengeance Trilogy consisting of Sympathy for Mr. Vengeance, Oldboy and Lady Vengeance. Pugh recently starred as Katherine in critically acclaimed Lady Macbeth, which won her The Evening Standard Breakthrough of the Year Award. She also recently wrapped production on Fighting with My Family, based on the true story of WWE Superstar Raya Knight, played by Pugh. She is currently filming David Mackenzie’s Outlaw King, the story of Robert the Bruce, opposite Chris Pine, and is playing Cordelia in BBC/Amazon’s King Lear, directed by Richard Eyre and also starring Anthony Hopkins and Emma Thompson. Park is represented by Industry Entertainment and WME; Pugh is represented by Julian Belfrage Associates and WME; and John le Carré is represented by Jonny Geller and Nick Marston at Curtis Brown. The Ink Factory is an independent studio based in London and Los Angeles, founded in 2010 by Stephen and Simon Cornwell. The team believes in reaching a wide audience by telling original and exciting stories, and working with storytellers and filmmakers who inspire, challenge and innovate. One of those collaborators is the author John le Carré, with whom the company has a close relationship. The company is working on a number of film and television adaptations of his work. The Ink Factory is currently in post-production on Drew Pearce’s Hotel Artemis, starring Jodie Foster Sofia Boutella and Dave Bautista and is behind the Emmy and Golden Globe Award winning drama series “The Night Manager,” based on a le Carré novel of the same name for the BBC and AMC. 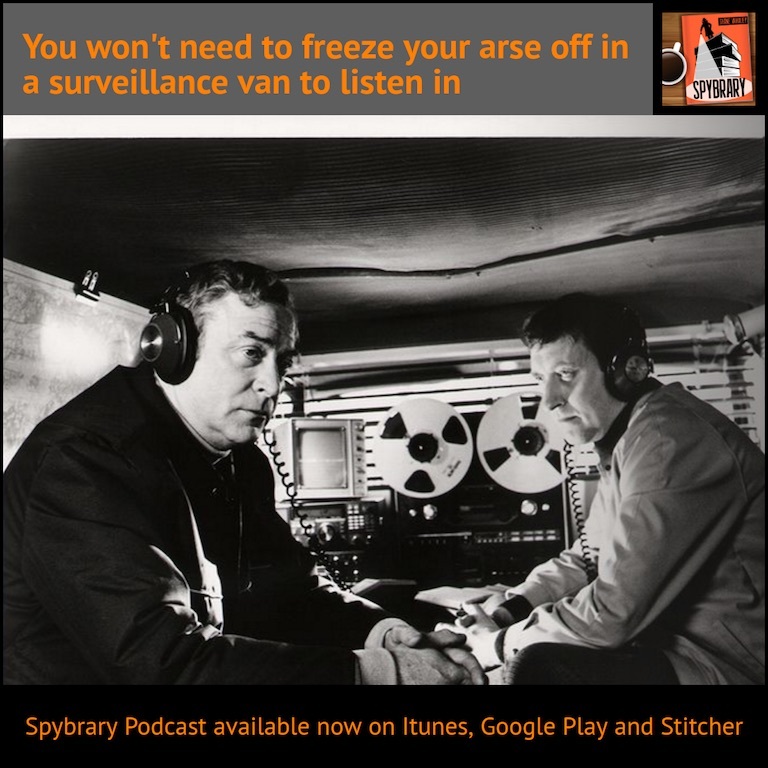 The company is working on a television adaptation of “The Spy Who Came in From the Cold” produced in association with Paramount TV for the BBC and AMC. The company’s first film, A Most Wanted Man, based on the novel by John le Carré, was released in 2014. Past projects include Billy Lynn’s Long Halftime Walk, directed by Ang Lee and based on the award-winning novel by Ben Fountain, and Netflix Original Message from the King, a noir thriller by Stephen Cornwell and Oliver Butcher starring Chadwick Boseman, Teresa Palmer and Luke Evans, which premiered at the 2016 Toronto International Film Festival. The Ink Factory has also partnered with one of the games industry’s top talents, Matt Nava, to found digital studio Giant Squid. Giant Squid’s first game, the twice BAFTA nominated ABZÛ, was released in 2016. AMC is home to some of the most popular and acclaimed programs on television. AMC was the first basic cable network to ever win the Emmy® Award for Outstanding Drama Series with “Mad Men” in 2008, which then went on to win the coveted award four years in a row, before “Breaking Bad” won it in 2013 and 2014. The network’s series “The Walking Dead” is the highest-rated series in cable history and the number one show on television among adults 18-49 for the last five years. AMC’s other current original drama series include “Better Call Saul,” “Fear the Walking Dead,” “Into the Badlands,” “Humans,” “Preacher,” “The Son” and the forthcoming “Dietland,” “The Terror,” “Lodge 49,” and “McMafia.” AMC also explores authentic worlds and discussion with original shows like “Talking Dead,” “Talking With Chris Hardwick,” “Comic Book Men” and “Ride with Norman Reedus.” AMC is owned and operated by AMC Networks Inc. and its sister networks include IFC, SundanceTV, BBC America and WE tv. AMC is available across all platforms, including on-air, online, on demand and mobile. Endeavor Content is a division of Endeavor, a global entertainment leader operating in more than 30 countries. Endeavor Content specializes in scripted television and feature film financing, development and sales on behalf of many of the world’s leading artists and content creators. Park Chan-wook is a Korean film director, screenwriter, producer and former film critic who has emerged as one of the most significant talents in cinema in recent years. He is best known for his films Joint Security Area, Thirst, The Handmaiden and what has become known as The Vengeance Trilogy consisting of Sympathy for Mr. Vengeance, Oldboy and Lady Vengeance. Park’s incredibly diverse body of work has garnered recognition in his homeland as well as from a number of leading international film festivals. In 2011, the short film Night Fishing, which he co-directed with his brother, Park Chan-Kyong, and shot entirely with Apple’s iPhone, won the Golden Bear (Short Film) at the Berlin Film Festival. In 2009 Park received worldwide attention for his vampire thriller Thirst, which earned him the Jury Prize at the Cannes Film Festival. This monumental film was the first Korean film ever to secure North American distribution and Hollywood studio investment at the production stage. Lady Vengeance was awarded the Cinema Avvenire and Il Leoncino d’oro awards in competition at the 2005 Venice Film Festival. This was preceded by Oldboy, which won the prestigious Grand Prix at the 2004 Cannes Film Festival. Park’s interest in film began in college as a philosophy student at Sogang University where he founded a film club and developed a strong interest in film theory and criticism. His film Joint Security Area became the biggest box office hit in the history of Korean cinema at the time of its release (since then, the record has been passed on to other films). In 2013, Park’s ninth feature and his first English language film Stoker starring Mia Wasikowska, Matthew Goode and Nicole Kidman was released worldwide by Twentieth Century Fox and Fox Searchlight Pictures to critical acclaim world over. He is also the producer of the feature film, Snowpiercer (2013), directed by Bong Joon-ho, with an international cast including Chris Evans, Song Kang-ho, Tilda Swinton, Jamie Bell, Octavia Spencer, Ewen Bremner and Alison Pill, with John Hurt and Ed Harris. In 2016, he was once again invited to Cannes with The Handmaiden which went on to win the Vulcan Prize. The film, which was inspired by Sarah Waters’ historical crime novel Fingersmith (2002), has proven to be a critical and box office success.